Today’s track is the final one (really this time) of the African series. I’m grouping it with Africa because it is the closest continent, but it is actually 1200 miles off the west coast in the Atlantic and is one of the most remote places on earth. This tiny island is a British territory, and has a population of just over 4,000 people. 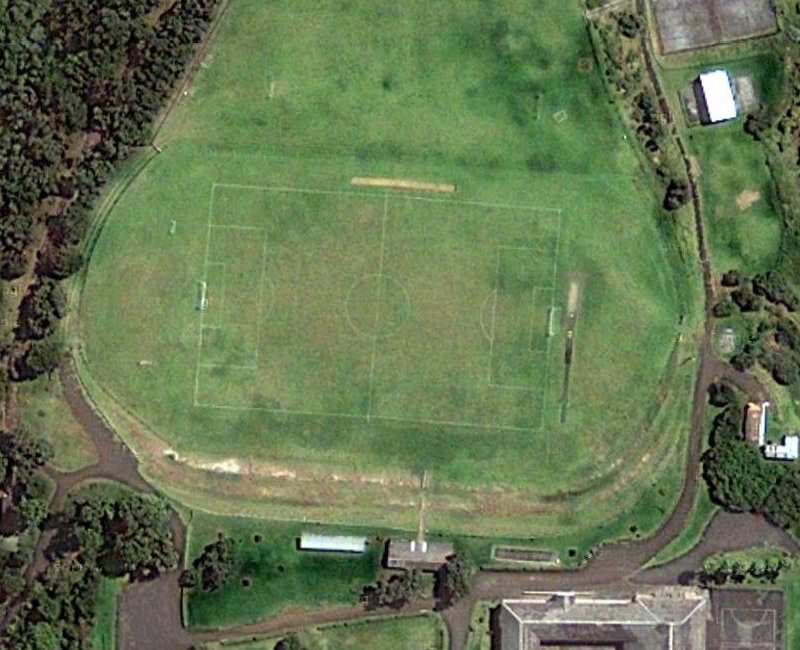 Francis Plain Playing Field is located at Prince Andrew Secondary school, the only secondary school on the island. From what I can gather, this is about the only flat area on this rugged island that is large enough to fit in a soccer field. The “track” when used, is marked with painted lines around the outside. St. Helena sounds like a unique place to visit!